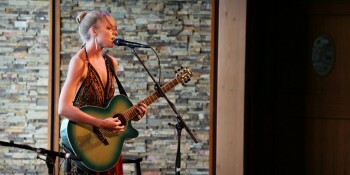 Opening for Kate Taylor at the Regent! BIG NEWS! I am thrilled to be supporting none other than Sister Kate Taylor this November at the beautiful Regent Theater in Arlington, MA! Kate Taylor’s “Sister Kate Revisited” tour resurrects the singer/songwriter’s debut album, released back in 1971. Sharing a velvet voice and penchant for folk music with her brothers James and Livingston, Sister Kate is back on the scene after a long hiatus, and is not to be missed. Bernardo and I are honored to kick off the concert, on November 8th, with an acoustic opening set of my songs. Join us for a night of original music by two songstresses in one of the Boston area’s premier theaters! Click here for tickets and more info.